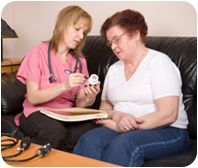 Home Health Care Whether it’s extra assistance after a hospital stay, helping you maintain an independent lifestyle, or providing occasional respites for a family caregiver we can help. Housing We operate a variety of housing facilities for the elderly and disabled throughout South Texas that provide excellent amenities and care options subsidized by federal programs. 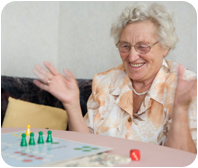 Adult Day Care Centers At our facilities in Alice, Premont, Benavides, San Diego, TX we provide recreation, transportation, well balanced meals by a dietician, snacks, and an LVN on site. 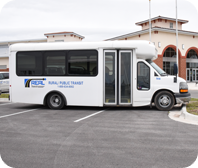 Transportation REAL operates rural demand-response public transit services to serve the public transportation needs of the riding public in the Coastal Bend. The Rural Economic Assistance League, Inc. (REAL) is a non-profit organization established in 1972 with the mission to provide safe, caring and quality community-centered services for the elderly, persons with disabilities and the general public by assisting them and their families in maintaining an independent and fulfilling life. REAL, Inc. is governed by a volunteer 12 member board of directors and employs approximately 320 staff. The Rural Economic Assistance League, Inc.'s (REAL Inc.) Board of Directors and its entire organization desire to be "The Provider of Choice" to the constituents that reside within our service area. We assure these communities quality care, prompt response, and cost efficiency in our delivery of services. We do not commit fraud, abuse, neglect, or waste. Furthermore we will not tolerate anyone who does. We believe in honesty, due diligence in provision of services, avoidance of waste and the necessity of listening to our patients/clients and staff regarding any concerns that they may have. 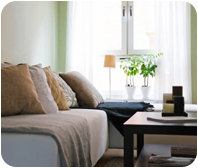 REAL Inc. is an Equal Opportunity Housing Provider and Equal Opportunity Employer. REAL Inc. - Where helping people is our only goal!